We have to get up now? 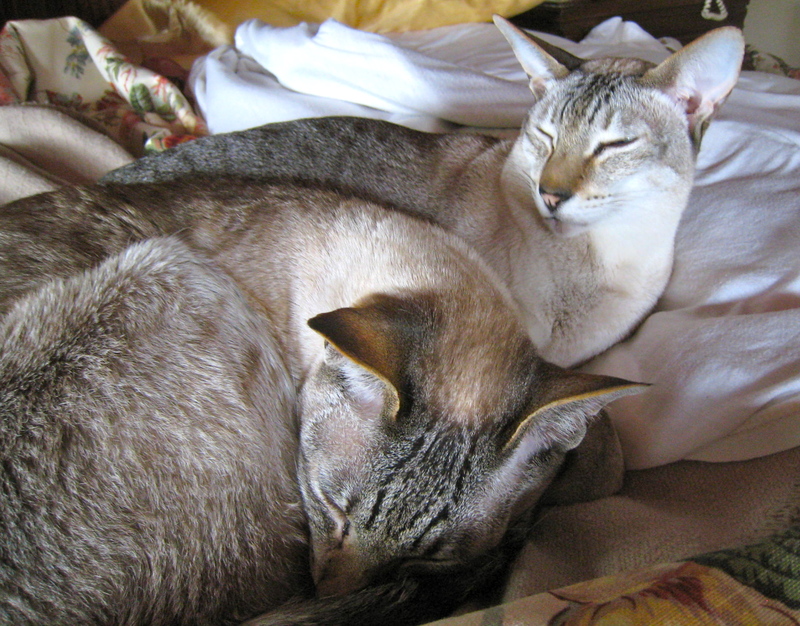 Brutus and T-Rex, my Siamese bed buddies, and I had another good night’s sleep last night, and when we woke up this morning, the sun was shining brightly, lighting the bedroom with a golden glow. “Time to weed,” I thought, hopping out of bed and into my gardening clothes: old jeans, long-sleeved shirt and baseball hat. The cats stared at me, unused to seeing rapid movement from me so early in the morning. I walked outside, stretched, and inhaled. And a grin spread across my face. I inhaled again. 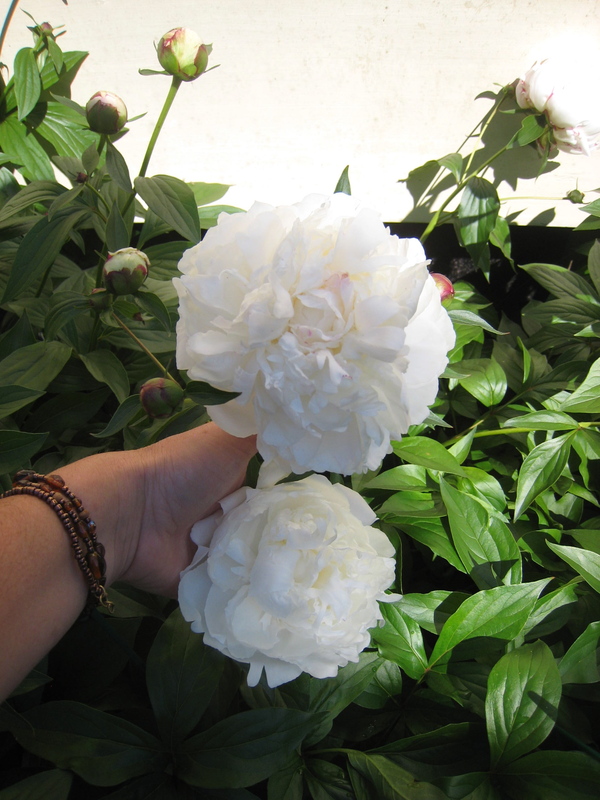 Gorgeous large puffy white blooms! The peonies are blooming. Their spicy, peppery, sort of sweet scent is filling the air around our house. Following my nose, I walked over to some pink Sara Bernhard’s, stooped low and sniffed a big sniff. Then I walked a little further and stooped again; this time to inhale the fragrance of the white Festiva Maxima. 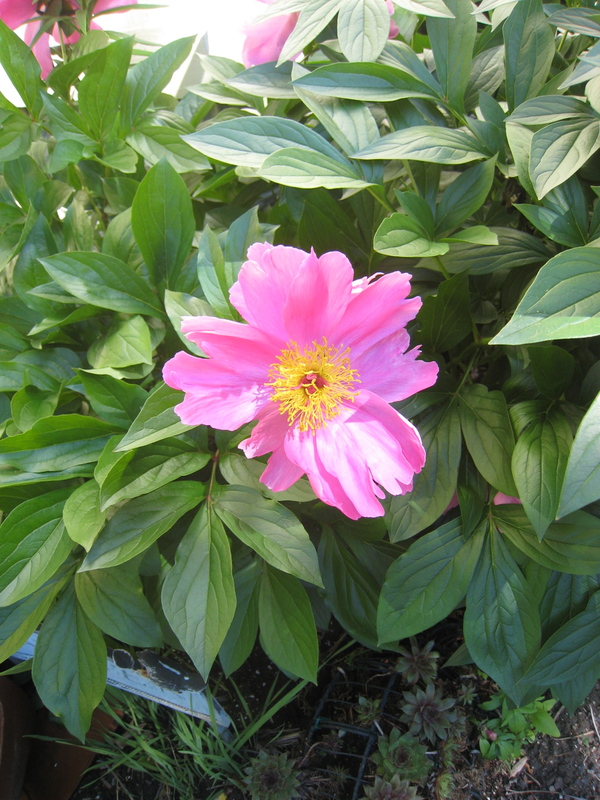 I sniffed the bright pink single peony whose name I can’t remember offhand. I walked on to the iron fence where I sniffed and clipped, and sniffed and clipped big fluffy white peony blooms for vases in the bathroom and kitchen. I can't remember her name. Help, anyone? 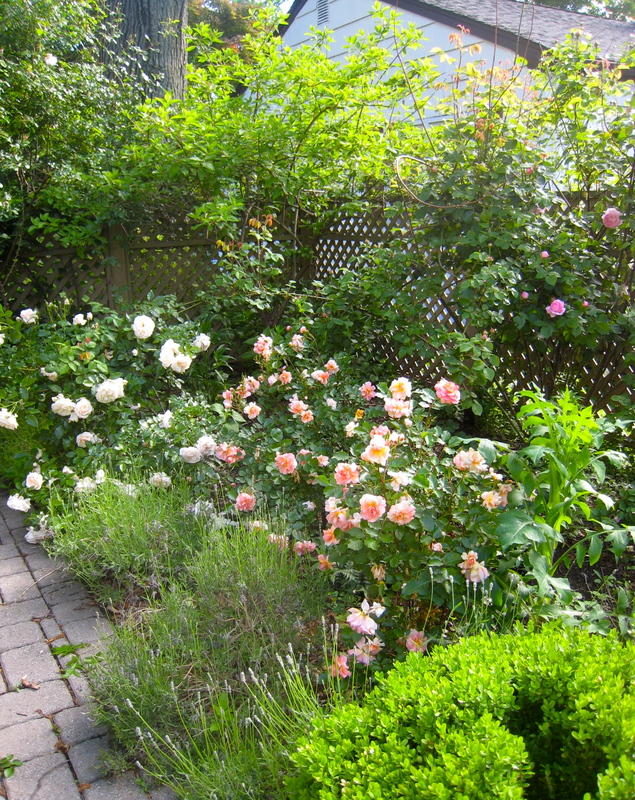 After my peony sniff fest I got down to the work of the day: I weeded and raked around the roses — most also now in bloom –on the east side of the house. I had plenty of company, although no peonies! The Siamese alternately napped and talked to me from their open window. 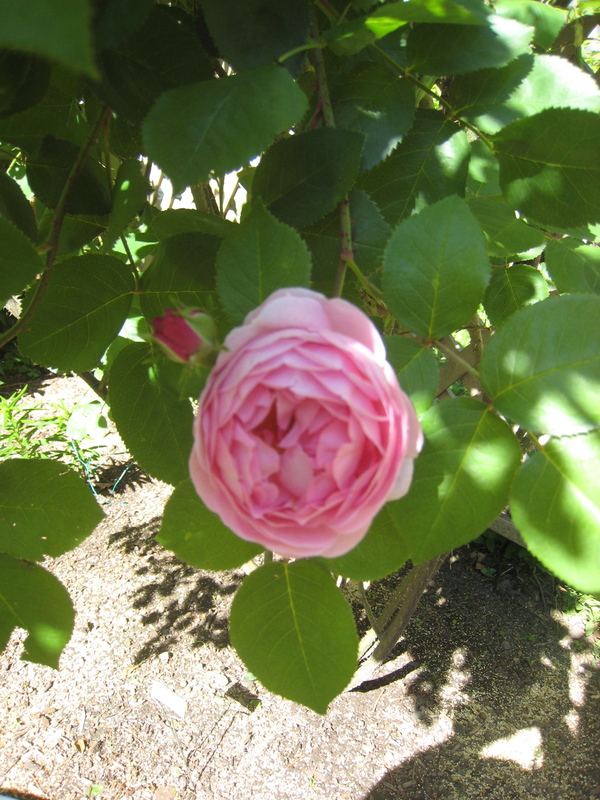 Constance Spry is an old rose that looks a lot like a peony to me! The Ladies in Waiting, all peachy, orangey and fluffy, didn’t speak, but they did twirl their petals at the slightest wind. I weeded, pruned and raked for more than four hours surrounded by my old friends. All the ladies are pruned and happy now. Gotta work on the lavender next! If only green thumbs ran in the family, I’d be in good shape! Love the picture of Brutus and T-Rex.